How and why I waited so long to have a Thai massage I’ll never know. I love a good massage every couple of months to knead away the stress and tension from sitting in front of a computer all day long, but I’ve never branched out to try anything other than your standard RMT spa service. Well was I ever missing out. 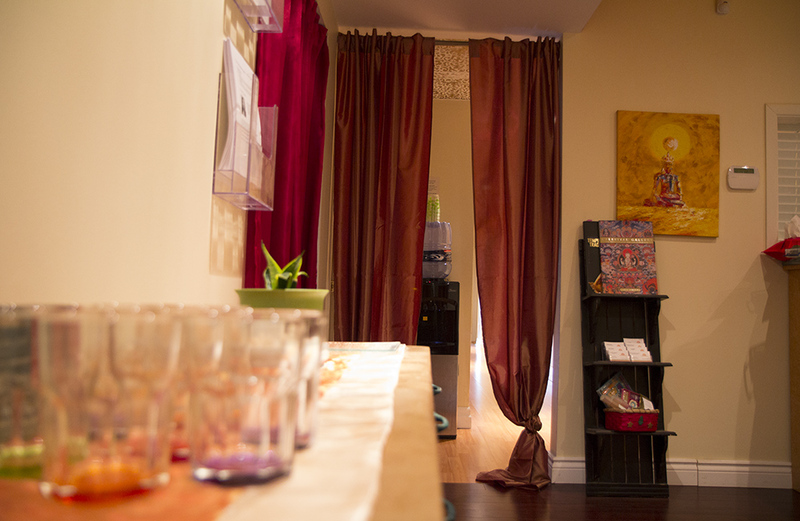 Massages in general are fantastic, but my Thai massage at Toronto’s Urban Nirvana was beyond. I immediately began telling everyone I know that they must experience this treatment for themselves. So what makes a Thai massage so unique? Before my treatment I spoke with Urban Nirvana’s owner, Lisa Arcus about what to expect when I entered the massage room. She tells me this massage will stand apart from all the other ones I’ve ever had because of the techniques which stretch the body while massaging. The movements are very deep and therapeutic, and will leave you feeling completely relaxed. Save for some Thai balm on pressure points of the body there are no oils used, and the treatment is done with your clothes on. Anyone suffering from an injury or from aliments such as fibromyalgia can benefit from a Thai treatment. I’m eager to meet with my therapist and experience what Lisa says will be like someone guiding my body through yoga movements. 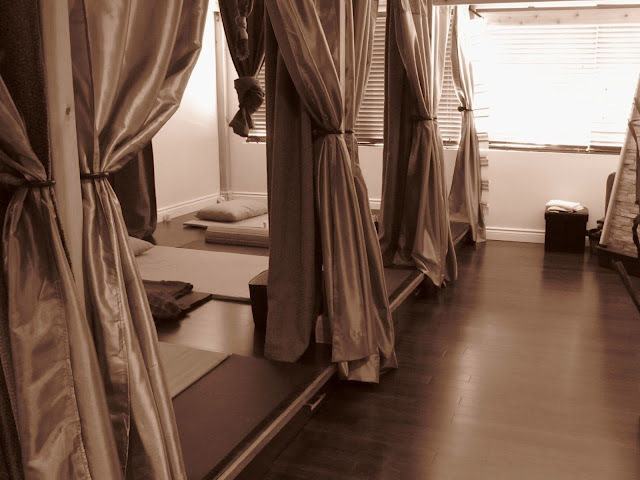 The treatment room at Urban Nirvana is soothing and peaceful, almost making you forget you’re steps from the bustle of Yonge St. About six cabana-like areas are divided by curtains where your private massage takes place. I change into the comfy cotton t-shirt and pants provided (standard Thai massage wear) and lie on mat as my therapist, Nok, arrives. She greets me with “Hello” in Thai and bows her head. Nok has been practicing authentic Thai massages for four years, and learned her technique in Thailand. The massage begins at my feet working up towards my head. Using a combination of her knuckles, elbows, thumbs and forearms, Nok kneads my muscles and stretches my limbs. By the time she finishes with one of my legs I feel totally relaxed and calm. I’m being expertly pulled and stretched to loosen the tight tissue in my back and shoulders with movements that are a lot like what you would practice in yoga, only when someone else performs them on you the outcome is so much more effective. My usual stiffness just seems to melt away as I let go of the chaos from my day, and remember to inhale and exhale as I’m stretched. Massages start at $90 for 60 minutes. Hmmm, you've actually sold me on this place. I've never heard about Thai massages and didn't know they were all that much different. As someone sitting at computer desk straining their neck, I'm super jealous and checking my bank account to see about booking an appointment. Great review! Thanks Zoe! I'm glad you enjoyed the piece. I had never heard about Thai Massages before either, but I'm glad I did. You should give it a try. If you have health coverage through work you can use your benefits for a massage at Urban Nirvana. Enjoy!